The process of a complete commercial roof replacement can be even more demanding than installing roofing systems for a new construction project. Every building and every roof is different, each with their own unique challenges to overcome. That’s why it is wise to entrust your commercial roof replacement project to Hamlin Roofing, offering over sixty years experience across a wide variety of commercial roof systems. 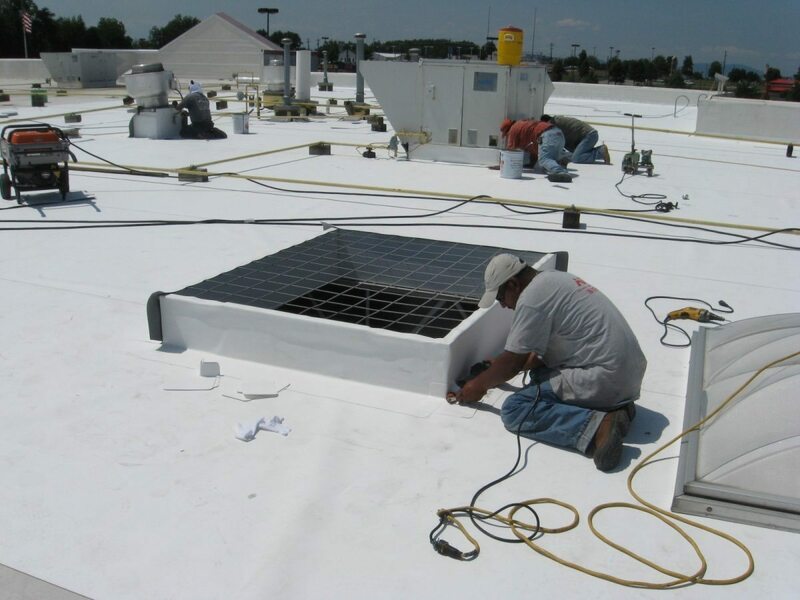 Our skilled crews have worked on every type of commercial roof system, and our commercial roof replacement technicians truly understand how they are built and how they are supposed to function.We are certified by every major commercial roof material manufacturer to install the highest quality roofing systems with the best warranties. Our ability to diagnose the problem and identify the right solution for your commercial roof is what makes us a preferred commercial reroofing contractor across the Southeast. We never use a “cookie cutter” solution: instead, we consult closely with each client to determine the best roof system to use. A commercial reroofing could also be a candidate for an easier roof coating application instead of total replacement. We are capable of applying asphalt cutbacks and emulsions, acrylic elastomers and polyureas, silicones, urethanes, SPF, and other coatings. Our team can help you make this determination based on weathering characteristics, reflectivity, ultraviolet light protection, energy savings, and aesthetics.